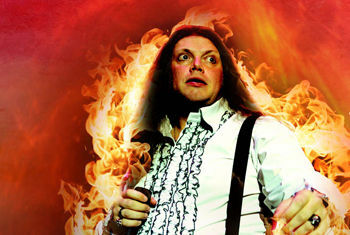 Rock ‘n’ Roll Dreams Came True is a powerful showcase of Meat Loaf’s greatest hits, including Paradise By the Dashboard Light, 2 Out of 3 Ain’t Bad and the breathtakingBat Out of Hell, to name just a few. with Mike Corfi eld as Jim Steinman on piano, video projections and stunning choreography, this show promises to have you rocking out to all of Meat Loaf’s legendary hits. Coming to King's Hall, Ilkley on Friday 1 March 2019.